As a major community partner of The City of Whitehorse, here at the Epworth we can’t wait to get along to the local Chinese New Year event, celebrating the incoming Year of the Pig. Running from 11am until 1am this Saturday (February 2nd) and expecting over 80,000 people, this festival is guaranteed to give you a New Year fix full of energy and excitement. Here are some of our expected highlights for the event. The lion dancers. There is no image more synonymous with Lunar New Year than wild, colourful lion dancers. Impossible to miss, they’ll be out in festive force from 12pm. The parade of Choi Sun. This celebration of the Chinese God of Fortune will begin at 4pm. It promises to be entertaining as well as a fantastic opportunity to connect with the more traditional aspects of New Year celebrations. The Giant Buddha. Another great opportunity to connect with the more traditional parts of the festival, a giant Buddha statue will feature throughout the day, offering space to pray for a prosperous, safe and happy new year. Market stalls. In the midst of all the festivities, take some time to wander through the amazing market stalls that will be set up especially for the event. They’ll feature all kinds of authentic Chinese food, as well as special New Years souvenirs and merchandise. Entertainment stage. The entertainment stage will feature a huge number of exciting acts throughout the day and into the evening, including the Chinese Oriental Performing Art Group, as well as many others. Keep an eye on the Facebook event for performer announcements! 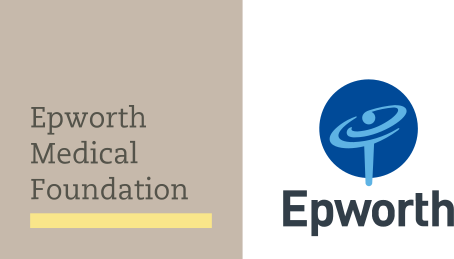 Epworth Eastern has a strong connection to the Chinese community, with over 50 Chinese speaking specialist doctors and team members. Located at Box Hill, Epworth Eastern has commenced construction of its 14 storey tower where it will offer a dedicated Chinese Speaking Concierge service, which can be accessed both in person and over the phone, to assist with any admission questions or paperwork you might have. As part of the redevelopment it will also establish a Traditional Chinese Medicine floor with relationships with a leading university hospital in China. We wish you good luck in the Year of the Pig!